The Foundation for Landscape Studies is pleased to announce the winners of the 2007 John Brinckerhoff Jackson Book Prize for recently published books that have made significant contributions to the study and understanding of garden history and landscape studies. The winners are listed in alphabetical order. Anita Berrizbeitia's interest in Roberto Burle Marx extends beyond his justified reputation as a master of regional modernism. She argues that "Burle Marx's Parque del Este is nothing less than a series of significant material and ideological transformations of the modern public park." 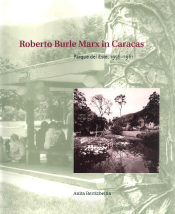 Through an original examination of the Parque del Este's extensive social, geographic, and artistic context, the author traces the dramatic transformation of Venezuela's capital as the nation shifted from its rural, agricultural roots into a globally significant, stable democracy with an oil-based economy. The park was freighted with nationalistic ideologies that have remained powerful to the present day. The rich documentary materials, including an extensive plant list, are welcome features of this outstanding monograph. Berrizbeitia's exemplary research and analysis address multiple outstanding gaps in our appreciation and understanding of the design of public landscapes in the mid-twentieth century. Anita Berrizbeitia joined the Landscape Architecture faculty at the University of Pennsylvania in 1996. She was assistant professor at Harvard Graduate School of Design from 1993 to 1998 where she received her M.L.A. in 1987. As an associate with Child Associates, Inc., Berrizbeitia focused on the design and building of landscapes ranging from urban-scaled projects to a wide array of private commissions. Her work has received several ASLA and BSLA awards. Her research focuses on modern and contemporary landscape architecture, with essays included in Daniel Urban Kiley, the Early Gardens; Recovering Landscape; Roberto Burle Marx: Landscapes Reflected; and CASE: DOWNVIEW. She is co-author, with Linda Pollack, of Inside Outside: Between Architecture and Landscape (1999). Kenneth Helphand addresses an important yet infrequently explored topic in landscape studies with insightful analysis and meticulous documentation. 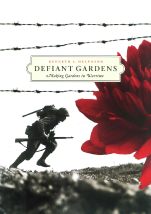 By focusing on "defiant gardens," defined as those created in extraordinarily difficult situations by oppressed, threatened individuals, Helphand presents a moving narrative of the ways garden making has empowered human beings to survive the most horrendous tribulations with dignity. His probing case studies, which form the heart of this inquiry, focus on a wide range of gardens created in the most unlikely circumstances: World War I battlefields, the ghettos of Nazi-occupied Poland, World War II internment camps for Japanese-American citizens, and prisoner-of-war camps in both world wars. His compelling analysis reveals in vivid detail how the act of gardening in these conditions subverts and defies dehumanizing treatment while nurturing hope, endurance, and identity. The result is a truly outstanding contribution to landscape studies in the tradition of J. B. Jackson. Kenneth I. Helphand is Professor of Landscape Architecture at the University of Oregon where he has taught landscape history, theory, and design since 1974. He graduated from Brandeis University and Harvard's Graduate School of Design. Helphand has lectured internationally and is a regular visiting professor at the Technion, the Israel Institute of Technology. His works include the ASLA award-winning books: Colorado: Visions of an American Landscape; Yard Street Park: The Design of Suburban Open Space (with Cynthia Girling); and Dreaming Gardens: Landscape Architecture and the Making of Modern Israel. Helphand was editor of Landscape Journal from 1994 to 2002. He is a fellow of the ASLA, winner of the Bradford Williams Medal, and honorary member of the Israel Association of Landscape Architects. 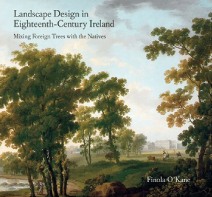 This study of four eighteenth-century estates outside Dublin offers a nuanced and rich examination of the role of garden aesthetics and design in the physical and intellectual environment of Georgian Ireland. O'Kane's exemplary scholarship grows out of her careful reading of a broad range of documentary materials that include estate maps, correspondence, and landscape painting. She describes and interprets the making and experience of these elite landscape gardens as they evolved over time from the point of view of social class, gender roles, and the paradoxical moralizing discourse on "improvement," as well as horticulture and design history. This beautifully produced volume is a welcome and important contribution to eighteenth-century studies, illuminating the way in which the history of the British empire is reflected in the intertwined landscape histories of the center and its periphery. Finola O'Kane Crimmins completed a graduate diploma at the Architectural Association in London and a Ph.D. at the National University of Ireland. She worked in the practice of de Blacam & Meagher Architects, where she was a project architect for the award-winning conservation design for Maynooth Castle, Co. Kildare. In 2004 she was appointed lecturer in the School of Architecture, Landscape and Civil Engineering, University College, Dublin. She is particularly interested in the cultural, philosophical, and aesthetic dimensions of the landscape history of Ireland and is currently completing her second book, entitled Ireland and the Picturesque, and a study of life in the Irish convent.